If you love Harry Potter and funny videos. This is a must see by BYU divine comedy. but it may give you just as many laughs. who didn’t want to dress up. for indulging my lunacy last night. but it didn’t quite do it for me. Because I literally was the hottest witch in the room. I was wearing 4 layers. I know you’ve all been busting at the seems for it. a piece of this funny girl died too. Oh, you didn’t know that Fred died. if you haven’t read the book. and sat up and cried all night. would know that was her? My husband even shooshed me. Ding Dong the dude is dead. I didn’t cry when Voldemort died. In the book or the movie. was trying to tell us all along? Harry should know all about that. Even if it’s just the ordinary? with a few extra pounds. but I just thought that they did. It’s in the Weasley genes. are skinny to the end. for the magic we call Potter. no story in the first place. Getting out of Gringots on the dragon. Ginny saying “I know” to Harry. and finally understanding Snape’s actions. and jumps out of Hagrid’s arms. and sitting by Luna awkwardly at the end. Mrs. Weasley hollaring at Bellatrix and defeating her. and kind of shakes her head in surprise. Harry conversing with his momma. is making me cry again. Why did she have to kill Fred? because I really don’t pay that much attention. ← Edward Diggory and the House of Fashion. I skimmed your movie review… because I haven't read the book and I have not seen the movie yet… Shame on me! Anyhoo… I loved your witch look… I am sure LG has recovered from his embarrassment by now. I like your Ginny comment… I am way past pudgy and I am sure you like me with even more extra pounds. I think you looked amazing last night. 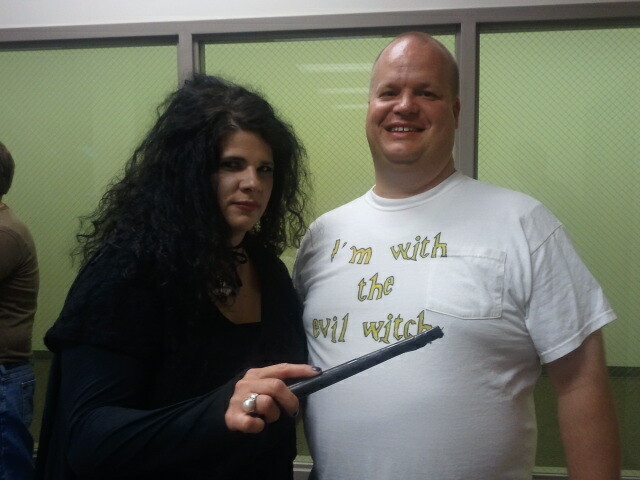 I like Bellatrix. She is my favorite bad guy. I loved the books and the movies. I am sad that they are over because we all grew up with Harry, Ron, and Hermione. The one thing I didn't like was that Fred's death was just passed over. No one talked about how it happened and that bothered me. I am a Snape girl through and through. I was so sad and angry that he died. It still upsets me to talk about it. The parts I didn't like first, then the one I did. 1. The 19 years later was AWFUL. They didn't look any older and it was totally useless. I didn't like it in the book either. 2. No on was around for the final battle between Harry and Voldy. Where's the cheering? Where's the anger that Voldy sees his general go down? 3. Kings Cross Station and not even explaining why Harry was still tethered to life. I felt like we needed that explanation. 1. Ralph Fiennes. He is the man. They could not have picked anyone better. The cold pure evil that runs though his veins. The merciless killing of even his devout followers. Awesome! 2. Him getting weaker as the horcuxes are destroyed. I actually can't decide if I like it or not. 3. How Harry could feel where they were. I liked that a lot. It just makes sense. 4. Them showing Hogwarts in a Nazi style. 5. This was my favorite part. Harry stepping forward during the assembly. It gave me chills. I liked the movie a lot, even the changes they made. I felt most of the changes added so much more to the movie. I despise it when people tell me I will understand it if I read the book. That's dumb and this movie I felt made sense to the non-readers. Most of the time I don't want to read the book, that's why I watch the movie. When Harry dies, I stood up and started to leave and my buddy that was with me looked so confused. The people behind us started to laugh pretty hard though. Haha, you're awesome, this was a great post and since I don't live in a city with a movie theater at ALL, I felt like I was there. 🙂 LOVE that BYU video, hahahaha! We're going to see the movie on Wednesday, as a mix birthday treat for my mother-in-law (born July 17th) and myself (July 28th.) I'm so excited!!! My favorite character is Bellatrix Lestrange followed by Luna Lovegood!!! Thanks for posting that video, I favorited it on youtube, so many people can relate to that. It makes me so sad that there are no midnight book releases or movie premieres left but I'm sure I will keep myself busy never forgetting Harry potter. Going to see it this week. I spent the entire day having my own private Harry Potter Movie-thon and I cried like a baby when Serious Black died. My dog came running into the room to see what I was blubbering about. I can't wait to see the interpretation of the last movie. I have thorough appreciation for you dressing up like Belatrix what a great job she did an amazing character so evil and beautiful! Glad you all enjoyed the post. You new ladies, I'll be over to check out your blogs as soon as I get a chance.